Show Choir is open to all student enrolled in Choir. Auditions are held in September. Practices are held on Mondays in the Choir Room 134 from 6 – 8 pm. There may be occasional Saturday morning practices to work with a choregraphy. 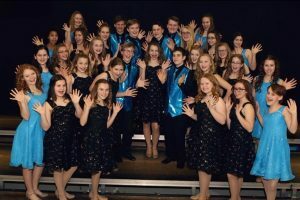 Show Choir Contests are held in January and February. Please check the Longfellow-LDI Activity Calendar for dates of practices, contests, etc.